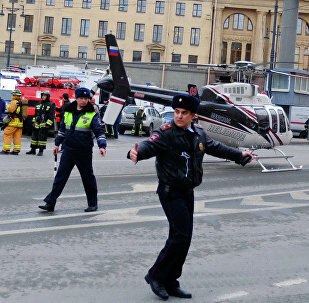 A deadly explosion has struck St.Petersburg metro on April 3. At least 14 people were killed and dozens injured. 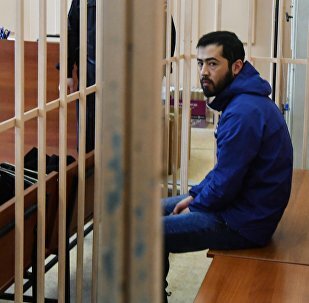 The Russian Investigative Committee has formally charged the brothers Akram Azimov and Abror Azimov in connection with the deadly April 3 terrorist attack in the St. Petersburg metro, their lawyer told Sputnik. A terrorist attack in the Saint Petersburg subway on April 3 left 16 people dead. Imam Shamil Battalion group has claimed responsibility for St. Petersburg terrorist attack, revealing that it allegedly acted on orders from al-Qaeda, the Search for International Terrorist Entities (SITE) institute announced Tuesday. The statement comes more than three weeks after the attack. A Russian court canceled the decision to admit to St. Petersburg metro's terrorist attack suspect ro the Russian citizenship, Russian Interior Ministry spokeswoman Irina Volk said Friday. Federal Security Service (FSB) operatives have detained Akram Azimov, older brother of suspected organizer of St. Petersburg terrorist attack Abror Azimov, the FSB said Wednesday. A Russian court has arrested a suspected organizer of the deadly Saint Petersburg metro blast. 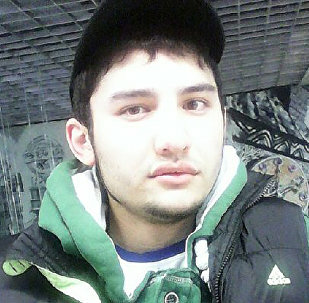 The suspected organizer of the St. Petersburg metro attack, Azimov Abror Akhralovich, has admitted his guilt, his lawyer Armen Zadoyan told reporters on Tuesday. Russian investigators requested a Moscow court to order the arrest of a suspected organizer of this month's deadly terrorist attack in the St. Petersburg metro, the Basmanny District Court told Sputnik on Tuesday. One man suspected of organizing the terrorist attack in St. Petersburg metro has been detained near Moscow on Monday, Russia's Federal Security Service (FSB) said in a statement. 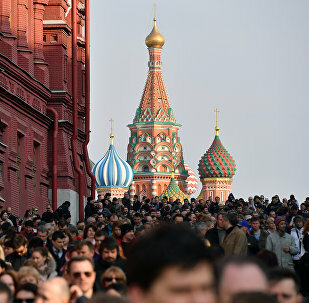 More than half of Russian citizens believe that the authorities can protect them from possible terrorist attacks following an explosion in the St. Petersburg metro last week, a daily poll by the Russian Public Opinion Research Center (VCIOM), obtained by Sputnik, revealed on Thursday. Eight terrorist cell members from Central Asia have been arrested in St. Petersburg metro bombing case, Russia's Federal Security Service (FSB) chief Alexander Bortnikov said at a National Antiterrorism Committee session Tuesday. 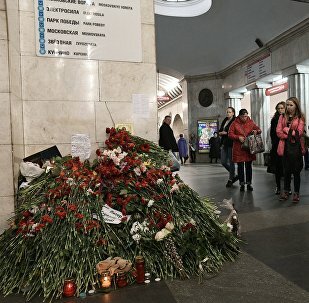 The residents of St. Petersburg faced down terrorism with "legendary Russian stoicism" after the attack on a subway train on Monday that killed 14 commuters, Der Spiegel journalist Christian Stoecker reports. Commenting on Monday’s terrorist attack in St. Petersburg, Turkish political analysts told Sputnik that it could have been aimed against Russia’s policy on Syria and Ukraine. Alexander Kaverin, the driver who ran the train hit by a terrorist attack in St. Petersburg metro, decided to donate a bonus he received after the terrorist attack to a woman who was severely injured during the blast and got her leg amputated. Russian investigators said Friday they believed the man, suspected of having bombed a St. Petersburg metro train, could have had more accomplices that were still at large. A suspect in the case of a blast in the St. Petersburg metro pleaded not guilty in court. Eight people have been detained in connection with St. Petersburg metro terrorist attack. Muscovites hold rallies in the city center to pay tribute to the victims of the St. Petersburg terrorist attack.